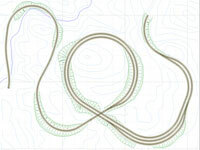 Read about my plans for a Z-scale layout featuring the Tehachapi Loop in Z-scale, 1:220.The planning has been done for a small layout featuring the famous Tehachapi Loop in California, USA. It's only plans, and I do not know when it can be realized. That's one good thing with the hobby: You can all the time dream about a lot of different plans and layouts. Read about the layout, the hidden staging, the figures, the concept. 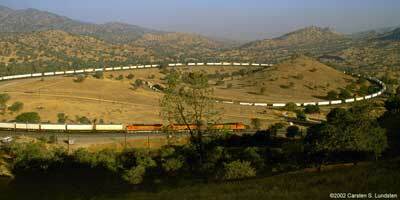 Read about Tehachapi Loop, one of the most famous trainspotting places in the entire United States, the Site. 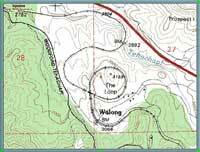 Read about the development of the layout-"map" from real maps. Find images from the layout, created with 3rd PlanIt. Copyright 2004: All plans and images is copyright www.platelayer.com and can not be used without permission.